We built an IP Network for VoIP, which means our next-generation voice communication services actually work the way they should. The industry is buzzing about how SIP Trunking saves money and increases productivity. We provide various options to meet Enterprise needs and budgets, while maintaining the highest quality of service. BroadConnect Canada provides a wide range of SIP Services to address your unique needs from On-Net services to Outbound, Local and Toll-Free calling. These services utilize our private IP Network to maintain high-quality voice over IP phone systems, providing you with peace of mind. Unlike voice services based on public internet transport, VoPI packets on a fully interoperable voice IP Network receive the highest priority on the private IP backbone, translating into consistent and predictable carrier grade call quality – guaranteed. With SIP Trunking you get the reliability you need to centralize communications while lowering costs. Now you have the power to redefine communication within your enterprise and obtain greater value from your voice communication services. SIP Trunking merges your voice & data onto one Network, delivering substantial savings on setup, ongoing maintenance, & administration fees plus reduces long distance charges. This is what makes SIP such a powerful VoIP business service. SIP Trunking from BroadConnect is delivered over our a private IP network to ensure voice quality and allows us to provide compelling pricing. The benefits of having voice and data running on the same Network supports a strong ROI. We have been an SIP Pioneer since 2002 and have partnered with advanced technology vendors to provide our customers with the most reliable service and proven equipment. This includes Call Center services. Using our VoPI™ delivery method allows us to control the first and last mile of service to your location and your voice communications that never touch the public Internet space with our business VoIP service. You can simplify your vendor management and billing across all of your locations because BroadConnect operates one of the largest VoIP solution voice footprints in the Canada. 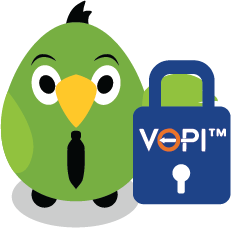 Our private IP Network provides you with an unsurpassed secure environment for VoIP services for business because it includes Session Boarder Controller based VoIP architecture with secure VoIP interconnects and separate network access routers in order to stop denial of service attacks from hackers. We utilize secure signaling (SIP/TLS, IPsec) and Secure Media (STRP) to ensure truly secure point to point voice communications. Basic Phone Service: Includes Local and Long-Distance calling services with optional Toll-Free, DID numbers, Directory Assistance and Caller and Name ID. Feature and Mobility Packs: Multiple feature packs are available to accommodate your specific end-user voice needs. Pooled Concurrent Call Paths (CCPs): Share idle capacity across the enterprise to reduce oversubscription on site-specific trunks. 100 percent End-to-End IP Network Backbone: Delivers high quality of service out to the PSTN. Multiple Islands of Call Routing Proliferation of PBXs within the Corporation, IP Phone Models, Disparate PBX Vendors, Capabilities, too many touch points for routeing & management, Disaster Recovery Challenges, Security – TLS, sRTP throughout the network. Call Centers Increasing Call Volumes and the Cost Number of locations Capping TDM-centric ACDs. Migration Challenges; From TDM to IP PBXs From PRIs to SIP Trunking Interworking of SIP and H.323. Carrier Management Multiple telecom providers Not cost optimised Multiple bills, feature differences. Power and Space Large Data centres filling up More hardware requires more power Environmental Concerns are increasing.